The Lost Notebook Returns: Interview tomorrow! Just in case you're wondering, I'm still here in Tokyo, surviving and 'swimming' every day. Since I posted "How to 'swim' in Tokyo", I have applied for three jobs. Two teaching positions that I unfortunately didn't pass and one coordinator position for which I'll have an interview tomorrow. It's not a teaching position but the job descriptions actually sound like it would perfectly fit the paths I've taken (because as a matter of fact, I really wasn't always a teacher—I have many faces and 'drawers'), and it's a job at one of the very best universities in Japan, so I would be thrilled if I can get this job. We'll see. This evening I went to buy a suit, because I didn't have one. I could have gone to a store to get one earlier but I heard from this university only two days ago that I passed the first screening and it wasn't until then I knew about the interview. I went to the shop where Mike got his suit the other day. People at the shop remembered me and asked me what the occasion was this time. I told them that I'll have an interview tomorrow morning. They helped me and let me try on many suits. I ended up being there for 2 hours (!) 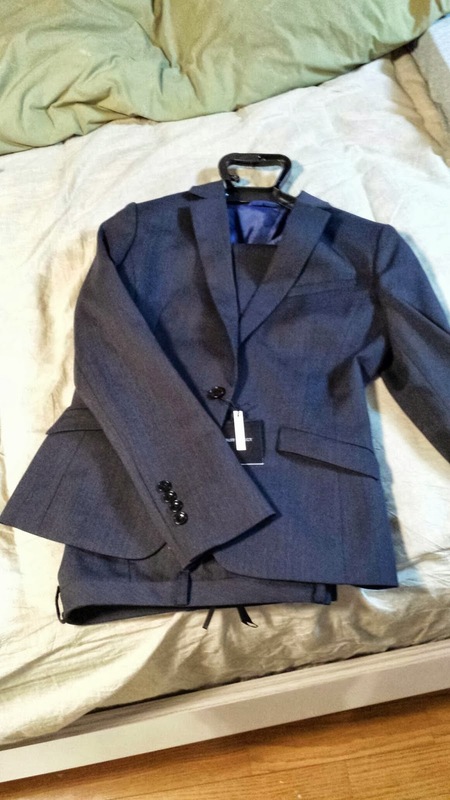 and picked this dark grayish "skinny fit" suit, which was actually the very first suit I tried on today. Each line has a quadruple measure, and when you read it aloud, it's so rhythmic that naturally makes you want to nod your head. I've been doing a staring contest with this poem for two days now, trying to figure out how to make the English version as musical as the original. The first line could be, How does it feel to be in love? or What is it like to be in love? Either would work because it has a quadruple measure, just like the original, but I haven't come up with the rhythmic translation for the second line. It will be my homework for this weekend!